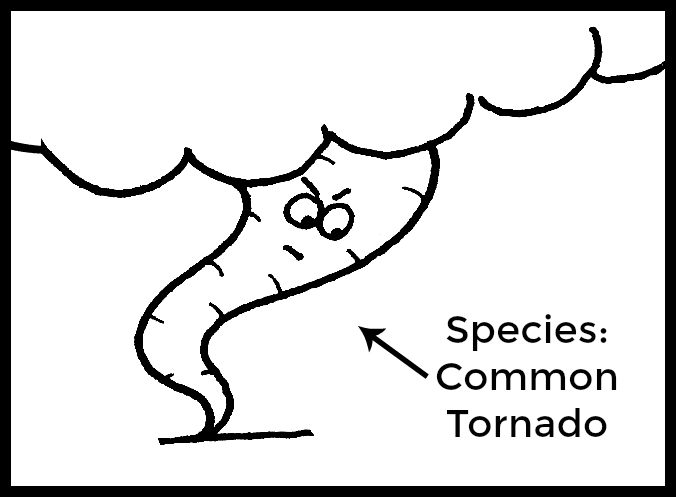 There are many varieties of tornadoes, but they all resemble mean carrots. What is a Tornado, Exactly? A very, very bad storm that produces a large, angry cloud that can walk on the ground. 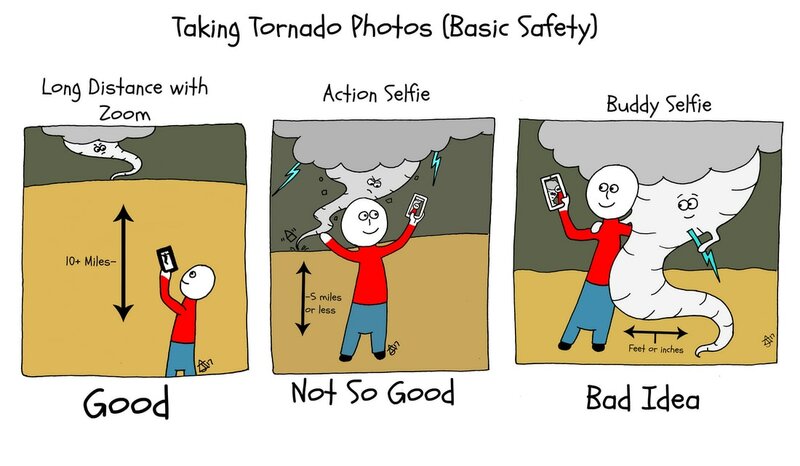 Let's talk about basic tornado safety. If you have little experience with these walking clouds, then you may be wondering what you should do, or where you should go if one is in your area. Tornadoes are notoriously anti-social. Therefore, when a tornado warning is given, it is recommended that you seek shelter immediately. I also don't recommend hiding anywhere with lots of pointy objects or excitable animals weighing over 10 pounds. So Where Should You Seek Shelter During a Tornado Warning? ​Although no place is guaranteed to be 100% safe, there are places that are universally recognized as safer than others. Basements that are not inhabited by monsters or evil clowns are also acceptable. Basic necessities for sitting out a stormy period. 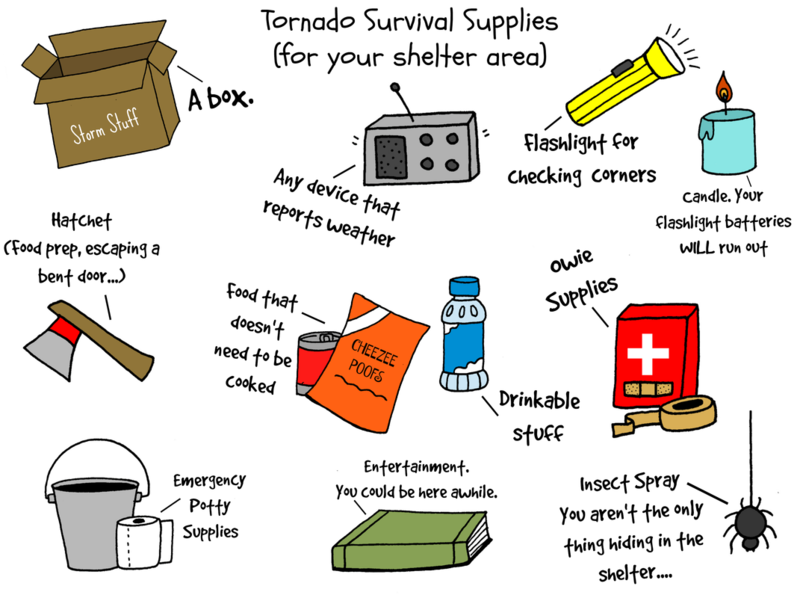 If you are at home, you should probably keep some basic survival supplies on hand to get you through tornado season (which runs from March 31st through March 1st in some states). This includes food, water, batteries, candles, and possibly all the Game of Thrones novels if it looks like there will be a marathon storm night. ​Even though you know what should be done, you will probably notice a lot of local citizens not doing it. Just like people who live near alligators don't tend to get upset when they see an alligator, people who live in tornado zones tend to be accustomed to living with tornadoes. ​Therefore, you might see them doing a lot of interesting-looking activities, such as driving around, taking pictures, standing in their yards, and not running for shelter at the first sign of a storm. Good rule of thumb: You can choose to go to your shelter before the local residents go to theirs, but you should probably never stay out if you see them going underground! You probably won't see a tornado even if you try. At least not that funnel cloud part. 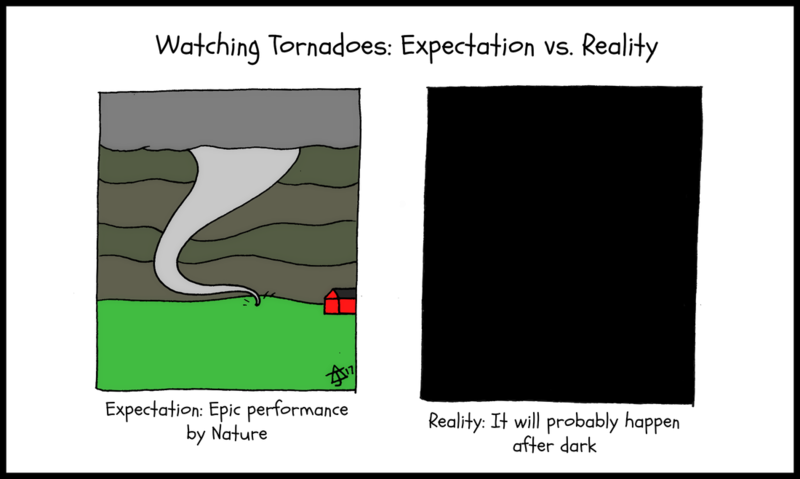 Tornadoes like to show up in the evening and at night. Unless you have special training, photos are best taken from a safe distance. ​Just remember, the closer the funnel is to you, the more likely you are to get hit with things like trees, barns, and large pieces of highway. What the Hail is That? Always leave your door open for a faster retreat. While you are (hopefully) indoors, you may hear the gentle sound of someone throwing boulders at your home. Someone throwing boulders at your home. If it is hail, you might want to take a picture of the largest hailstone so you can share it with your friends on Facebook, and maybe the weather service so they can report it. 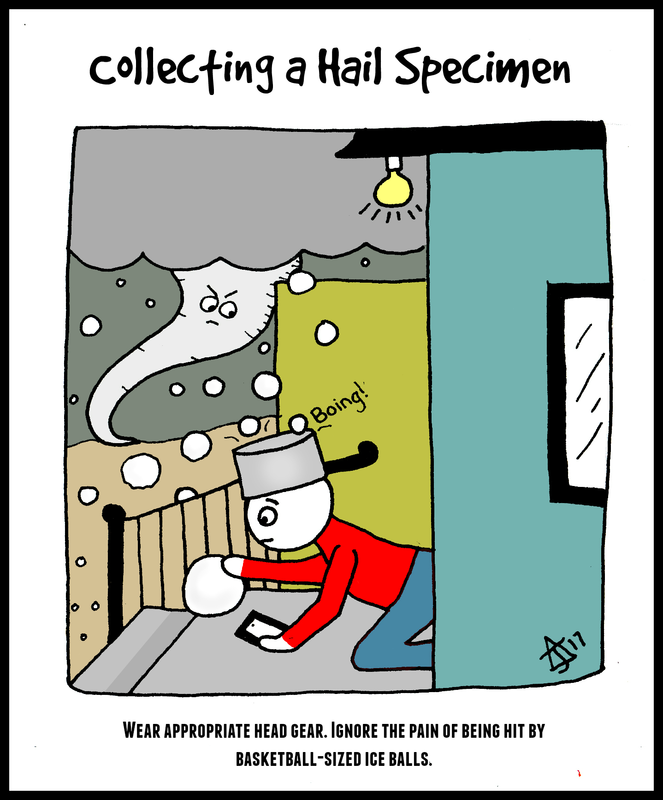 Then of course, you take a picture of the hailstone next to an object for size reference, such as the dented saucepan from your head. If you think driving around to take pictures is a good idea, see the image above showing where you don't want to be during a tornado. 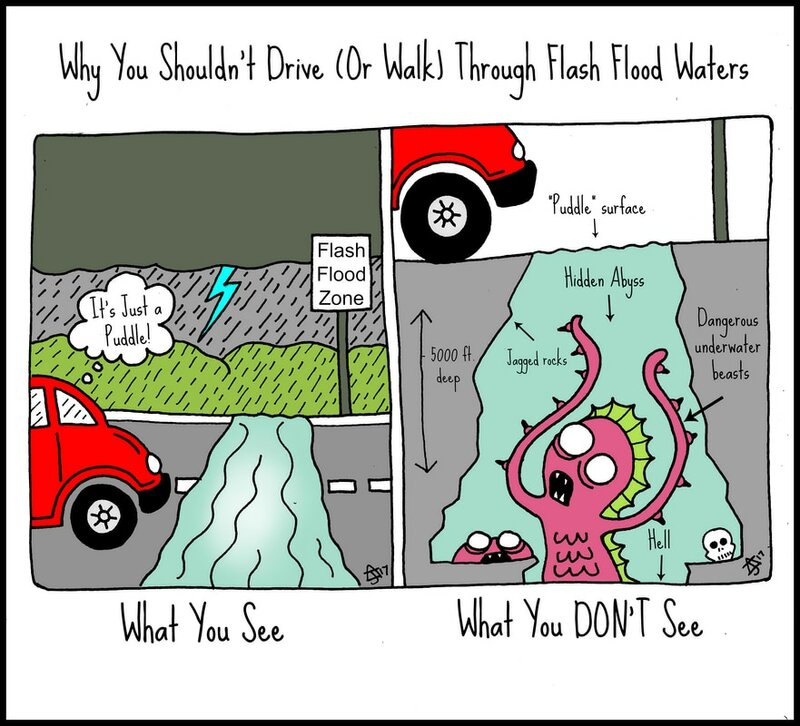 You also don't want to get caught in flash flooding. It doesn't have to be raining in your immediate area for flash flooding to occur. Rain in other places can fill the streams and lakes and make a huge mess out of everything. ​Although people have been warned about it over and over, there are individuals with questionable IQ levels who still think it's okay to drive across mysterious puddles and "streams" that weren't there yesterday. 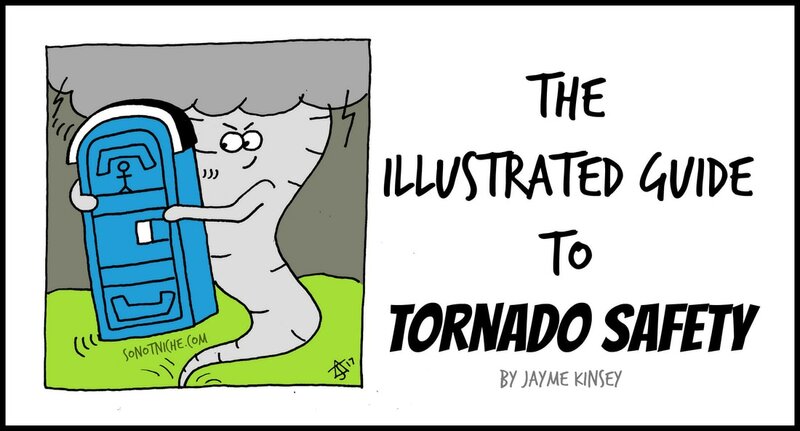 ​Tornadoes are definitely cool. They are also potentially deadly. Even if they seem silly, or "too cautious", basic tornado safety tips and being prepared for tornadoes can save your life. If you don't want to be squashed by a bridge, or eaten by a slimy, underwater beast then you should stay close to a suitable shelter. Don't panic and hide in an outhouse. 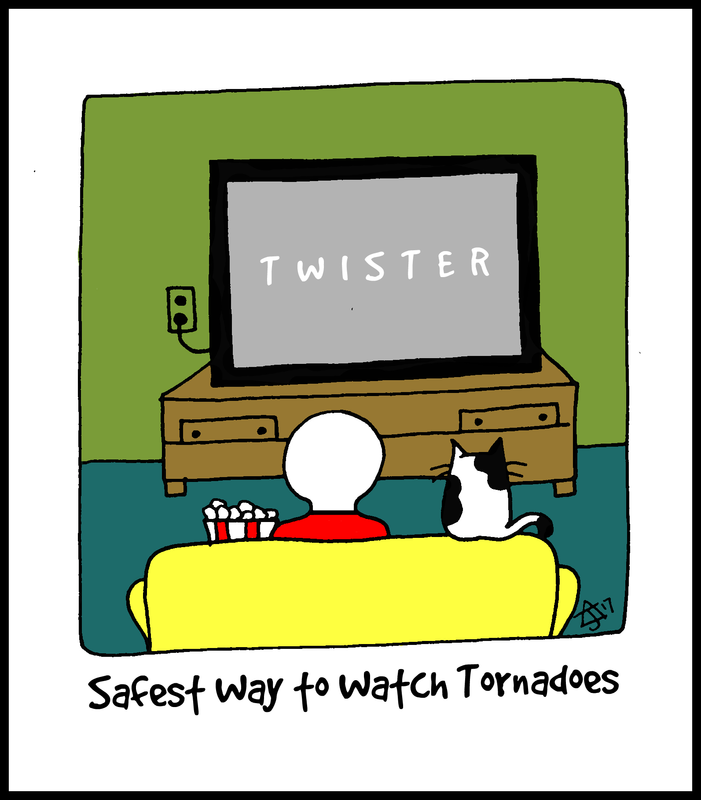 This is the safest way to see a tornado.